A bouncy sport weight merino, with a touch of silk for sheen, and a bit of bamboo for drape. This yarn offers great stitch definition, making it perfect for lace projects. 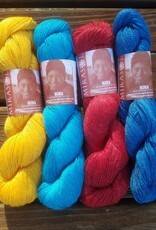 The Mirasol Project supports local communities in Peru through sales of Mirasol Yarn worldwide. 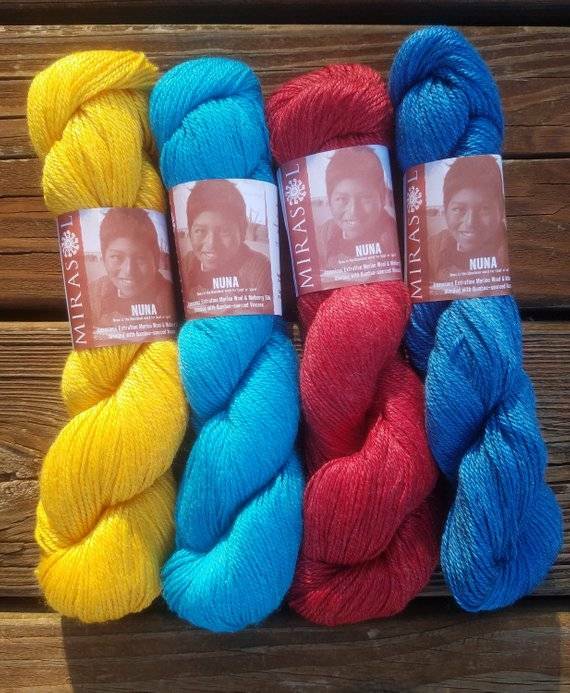 The Mirasol Yarn Collection celebrates Peru’s rich textile history, and includes yarns made from animals bred by communities for generations in the Peruvian highlands. A purchase of Mirasol supports shepherds and their families, and ensures the continuation of this tradition.